I’m way behind as ever. In the last week of October (half-term) we had a number of days out with the kids. 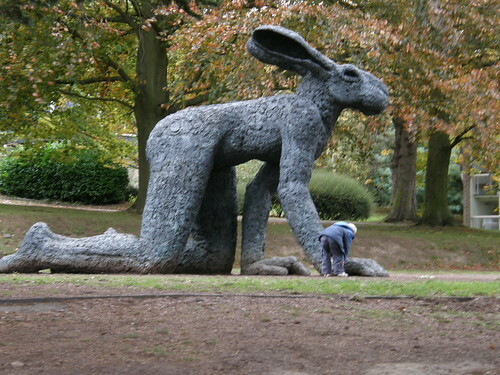 One was spent at YSP, which we’ve visited many times before. We’ve been particularly keen to visit of late because of the large retrospective exhibition of works by David Nash. 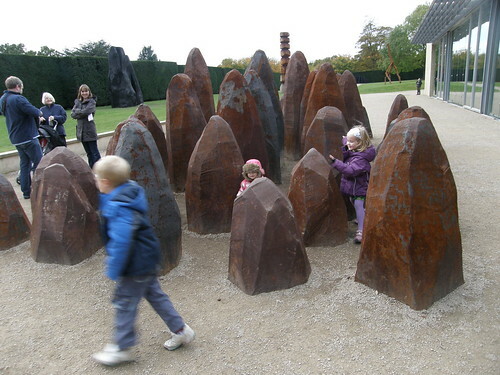 Children (ours and pthers) play hide and seek amongst a David Nash sculpture. To me (and I think to TBH) two of the most interesting works Wooden Boulder and Ash Dome could only, by their natures, be represented here by films. (I knew of these two because of the chapter on David Nash in Roger Deakin’s ‘Wildwood’). But there was an awful lot more to see. 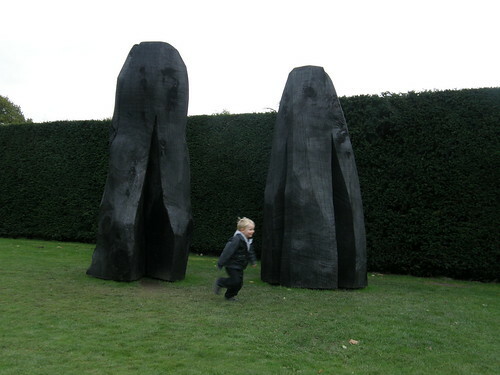 Charred David Nash sculpture and action man S. Try charging around like that in an art gallery! Not only an overwhelming quantity of David Nash stuff but also the permanent exhibition of sculpture by the likes of Henry Moore and Anthony Gormley. 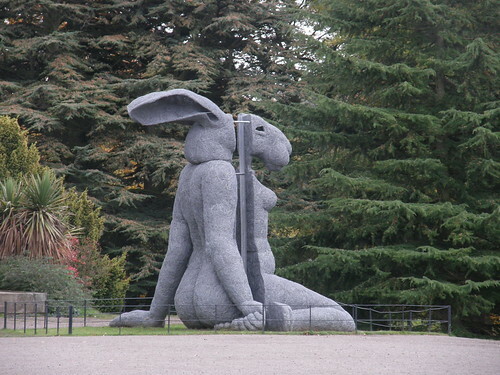 Last time we came we were particularly struck by these giant hare-women by Sophie Ryder, but didn’t take photos.